Financing is easier than ever at Chassé Toyota. Let our financial experts find a financing solution that suits your lifestyle while respecting your budget. 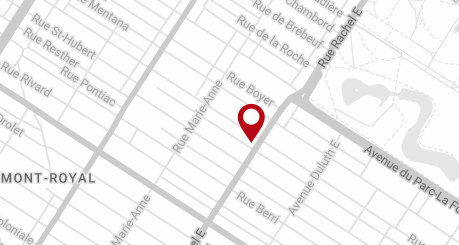 At Chassé Toyota our team of financial services specialists will be able to help you find the right financing or leasing solution for your needs and budget once you have found the right Toyota vehicle for you in Montreal. 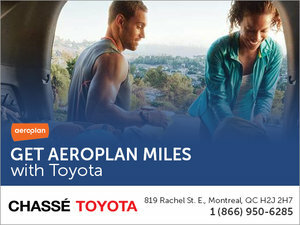 For an affordable and simple leasing or financing service in Montreal, trust Chassé Toyota. Our team of financial specialists will take the time to fully understand your needs in order to help you find the perfect financing solution for your situation. With the low-interest financing plans offered by Chassé Toyota and Toyota Canada Financial Services, we will be able to find the financing or leasing solution that's right for you. You can also take advantage of special deals with the purchase of a new Toyota vehicle that make it more affordable than you think to buy a new Toyota model at Chassé Toyota. At Chassé Toyota, we want to help you find the used vehicle that will suit you perfectly while respecting your budget. In addition, Chassé Toyota offers second- and third-chance credit financing solutions that make it possible to buy a used Toyota vehicle even if your credit is not perfect. At Chassé Toyota we have helped thousands of customers like you find the 2nd or 3rd chance credit financing solution that allowed them to buy the used vehicle they need at a price that suits their budget. Our financing specialists will work with our financial partners to find the perfect financing solution for your situation. We will work to find the best possible interest rate, and we will also make sure we explain each financing solution in detail to help you make an informed choice. At Chassé Toyota, we are here to help. Come and meet us today! You can also start your credit application online. We will contact you as soon as we receive your request to complete your file. To find out more about Chassé Toyota's 2nd and 3rd chance credit financing, contact us at 1 866 950-6285 or by using our online contact form. Ready to get your next Toyota vehicle?